Hillary Clinton’s campaign is scheduled to open a new D.C. outpost with some help from D.C. Mayor Muriel Bowser later this week. The new office, located in the Whittemore House at 1526 New Hampshire Ave. NW, will officially open its doors this Thursday at 7 p.m. The location will serve as a hub for Clinton campaign staffers and volunteers in the final weeks of the race, according to a Hillary for America spokeswoman. To celebrate the opening, Clinton staffers are set to host a potluck dinner and meet-and-greet with an appearance from Bowser. This isn’t the first time Bowser has stumped for Clinton. 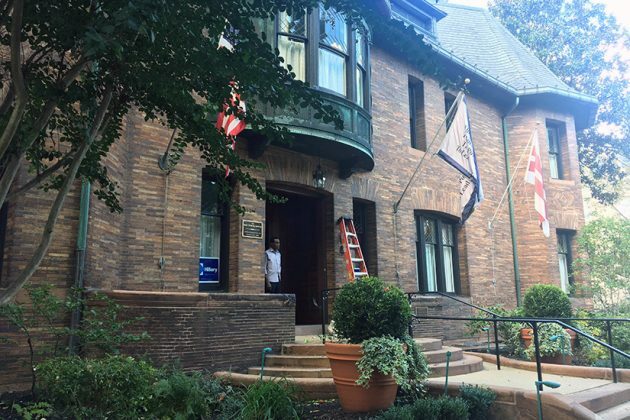 Back in May, she proved she was “ready for Hillary” by supporting the candidate during back-to-back primary campaign office openings at 1919 M St. NW and 1227 Pennsylvania Ave. SE.